All About Insurance can help you with best value auto insurance in Aldine, Houston, Humble TX, Spring TX or Tomball. Best value insurance means the best coverage at the best price. That is because they can source auto insurance from large pool of carriers. They can also find deals such as specials or discounts for certain groups of drivers. Auto insurance can be used to cover a variety of vehicles including cars, vans, trucks, trailers, motorcycles, boats, snowmobiles and so on. The most common type of auto insurance is car insurance. However auto insurance can extend to cover other types of vehicles mentioned previously. So whether you driving to work, taking a road trip or enjoying time on your boat, it is good to have peace of mind knowing you are covered in the event of an accident or mishap. Another important thing to keep in mind is that liability insurance is compulsory when you drive on public roads. Whether you drive a car, a truck or ride a motorcycle, you are required by law to carry 3rd party or liability insurance. If you cause an accident and others suffer damage or personal injury, you will have to pay, Liability claims can run into millions so that is not something you want to be caught without. 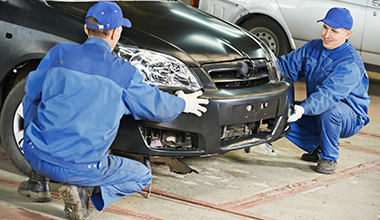 Auto insurance will also cover your vehicle and pay for repairs or replacement pursuant to a collision or accident. Even a minor fender bender can set you back a lot of money, so collision coverage is important. Auto insurance can also provide coverage for things such as road side assistance, alternative vehicle hire, lost or damaged goods that were in your vehicle. It is also a good idea to have some type of personal injury protection plan.